In this HBase tutorial you will learn HBase to apply for the best jobs in the big data domain. Through this HBase tutorial you will understand various aspects of HBase Shell, operations using Java API, integration with MapReduce, admin API, performance tuning, general commands, creating, listing and enabling of tables. Learn HBase from Intellipaat HBase training and excel in your career. In this HBase tutorial you will be learning about the top NoSQL database which works on top of the Hadoop Distributed File System (HDFS).With various NoSQL choices, how do you choose one? It clearly depends on the requirements of the enterprises/users and also not every NOSQL serves the same purpose and thus, the use cases for every single platform is slightly different from one another. The best is that none of them can be considered a replacement; the enterprises are gravitating towards three of the strong options, i.e. NoSQL DBs, i.e. 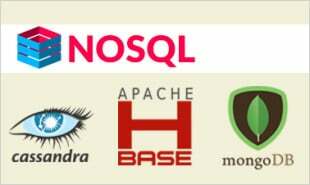 HBase, Cassandra and MongoDB. Built specially for low latency operations. HBase is all about. 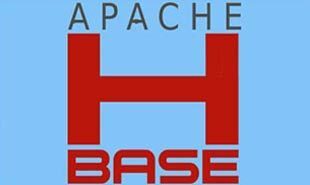 HBase has reached a major milestone in project development and database usage. 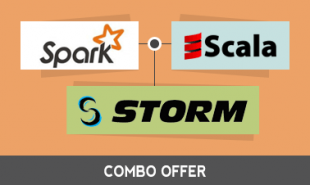 It is a column-oriented key -value data store and has idolized widely because of its lineage with Hadoop and HDFS. HBase runs on top of HDFS and well-suited for faster read and write operations on large datasets with high throughput and low input/output latency. Unlike relational and traditional databases, HBase does not support SQL scripting instead written in Java employing similarity with MapReDuce application. Nonetheless, it is not only the common roots of Hadoop and HDFS, but HBase is known for its remarkable scalability so much so that it can handle increase in load and performance demands by adding various server nodes. Providing optimal performance when consistency is critical, it gives leverage to developers with SQL expertise by a modern distributed system. You can get more to know more technical functionalities of HBase in this tutorial. Intellipaat’s HBase tutorial will let you learn HBase very fast and efficiently. You will get to know the practical implementation of this NoSQL database and operations using Java API. Aiming to provide comprehensive understanding of technology, we include explanation of basics and advanced features of Client API. Further, its integration with MapReduce (another essential feature) , cluster tuning and repeated testing performance are also explained well meticulously in the tutorial. More interactive and specific than a book, the learning is dedicated to imparting complete information using examples. Besides primary learning, you can find additional contemporary database facts that will be useful in your professional career. You will receive a quick idea of creating fault-tolerant databases for saving massive amounts of sparse data. You can also take a quick tour of the training courses we offer in niche technology and learn them anywhere, anytime and on any device. Our trainings prepare learners for Professional Certification Courses provided by renowned, authentic training providers. This blog will help you get a better understanding of Introduction to Hbase! Big Data Analysts responsible for managing high volumes of data and want to learn modern ways of handling datasets. Project Managers aspiring to reach to the next level in IT development and database processes can make the best learning from this tutelage. Become HBase Certified in 12 hrs. Since this is an easy-to-understand tutorial, you can learn without any expertise in Hadoop, HDFS and databases. However, prior knowledge of Java , OOPs and simple relational database can be of great help. 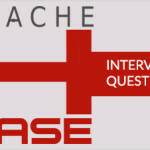 "0 Responses on HBase Tutorial – Learn HBase from Experts"
Sign Up or Login to view the Free HBase Tutorial – Learn HBase from Experts.